Right before my summer trip to Ibiza, I decided to take my hair platinum blonde. To say it’s a process is an understatement. But after two 10 hour appointments, I am in love with final outcome! Megan's hair before and after. Keeping your hair completely covered from the sun is the surest way to avoid further damage. But let's be realistic, if you are going to invest in coloring you hair your are going to want to be able to show it off. Platinum hair can tend to be on the drier side, so conditioning is key. 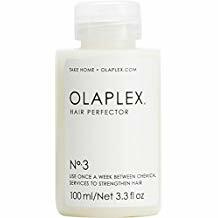 Olaplex is one of the best products on the market (and highly recommended by salons). The bottle recommends leaving it on for 30 minutes, but after some research I learned that you can sleep with it on overnight. I've tried this twice and the results have been incredible. My bleached locks felt soft and healthy immediately after. In addition, I spray a generous amount of Pureology Color Fanatic multi-taking beautifier on after every wash. When I am running errands around SF I am a baseball hat girl. But for my trip I wanted something that felt more chic and interesting. I inherited a handful of silk scarves from my Nana years ago and decided to pack a few. Not only do they make great head covers, they also double as a belt with denim shorts or tied around the waist as a beach cover-up. Pro tip: Silk scarves can be harder to tie and keep in place than cotton scarves. Pack a few bobby pins in your bag to keep the scarf secured. There are at least a half dozen ways (if not more) to tie a scarf for maximum sun protection that are both stylish and functional. My favorite is known as the "half knot hippie wrap". The key to the look is to not try to make it look too perfect. This style has a very boho influence and looks equally great with your hair worn down or in a low ponytail. Wrap around your head head starting with the scarf on your forehead and tie between your crown and the nape of your neck. For additional protection, tie your hair up so that it stays covered beneath your headscarf. Optional: you can always tuck the pointed tip of the scarf into the knot to keep it down or from blowing in the wind. Posted on August 3, 2018 by Canvas Styling and filed under Stylish Living, Style Stories, Beauty & Wellness and tagged beach vacation olaplex summer hair pureology. Every season both Megan and I like to change our fragrances to reflect the changing environment. Because we are often working with clients we are careful in what we select so it is neutral and clean and not distracting from a styling session. Scent can be highly linked to memories and emotions so it is always safer to tread lightly. As we continue our search for healthier products this year our scents have started to change as well. I am finding myself more drawn to wearing a blend of essential oils most days that adapt to my own ph (because your scent should be as unique as you are). If you are curious to get a little more of the nitty-gritty on natural fragrance options and what your nose knows--check out this Credo Blog covering the topic. Below is a listing of our favorite mainstream scents -some are unisex and others are better for outside client sessions, but all are perfect for a mix of your spring-summer adventures. I love the smell of gardenias and have had a hard time finding a perfume has a simple, pure scent. Lush and feminine, this perfume is the truest to the natural gardenia scent that I have found. It includes green notes, citrus notes, lily of the valley, jasmine, and gardenia. Gucci always has wonderful fragrances. Bloom is slightly more masculine (but not overwhelming) while still being crisp, clean and, refreshing. It has a blend of white florals, galbanum leaf, cassis, musk, and sandalwood. Fresh and crisp this unisex fragrance has had me taking a detour in stores for a midday spritz. The top notes of bright neroli and bergamot remind me of a Negroni on the Italian coastline. The fresh citrus scent is light and airy but strong enough to hold up on a warm summer evening. Clean, peppery, and slightly herbal this parfum by Aesop is another great unisex scent. This is a low maintenance fragrance with earthy top notes of citrus and basil. Because of this, it's a good match for the contemporary minimalist. This parfum has less staying power than other fragrances and softens on the skin with long wear. Posted on May 23, 2018 by Kimberly Gant and filed under Beauty & Wellness and tagged summer fragrance summer scents parfum. Here at Canvas, we've spent a lot of time talking about organic beauty over the past few months. Collectively, Kimberly and I have probably tried out a dozen different products to see what's a fave and what's a flop. Today, we are sharing the best and brightest of the bunch. Megan: I have what was described to me as "thick, combination skin." Which basically means that after years of sun damage and using products that were harsh, my skin has developed a tough outer layer. Many exfoliations later, my skin is getting its glow back and these 3 products are helping to keep it that way. Juice Beauty Stem Cellular 2-in-1 Cleanser- this cleaners is ideal for all skin types, especially those concerned with fine lines and wrinkles. Pros: It's a cleanser and toner in one, which takes a step out of my beauty regime. Cons: My skin does feel a bit tighter after washing with it, so I only use once a day and make sure to add extra moisturizer. The Verdict: I really like the brand, but find this cleanser plus toner to be too drying on my skin. Next time I will opt for just their cleanser. RMS Beauty Lip2Cheek- a two-in-one lip and cheek stain, each shade is formulated with nourishing organic ingredients and raw mineral pigments. Pros: The colors are super-saturated (we tried Beloved) and it stays on the cheeks almost all day, requiring minimal touch-up. Cons: A little goes a long way, so it takes a little trial and error. If your skin is dry, you'll notice that it doesn't apply as evenly on your cheeks. The Verdict: Once you get the hang of how to apply, it is great! I think this little pot will last me a long time, but am excited to try out some of their other colors. Vapour Illusionist Concealer- light reflecting minerals boost brightening while Frankincense, Tulsi and Lotus helps soothe, calm and protect the skin. Pros: It offers medium coverage that glides on and blends easily, covering any dark circles under my eyes. Cons: I notice that I need to reapply midway through the day. If you adda a pressed powder on top, it will last a bit longer. The Verdict: We aren't a match made in heaven. I will opt for another brand next time. Kimberly: Most women have a few items that they couldn't live without in their beauty bag, for me its a great mascara, blush and soft foundation. I much prefer a natural look to makeup and less is certainly more--make up should enhance your beauty not cover it. I'm slowly trying to convert my makeup bag to natural products, below are the ones making the cut. 1. W3ll People Expressionist Mascara- I researched several natural mascaras before trying out this one. Not only is it highly recommended, it received beauty awards from Elle and Allure. Pros: The applicator brush is a dream and I never struggle with blobs of messy product. The mascara is very buildable and leaves your lashes soft and flexible. Cons: By the end of the day I am on raccoon watch, but a damp cloth quickly cleans up any residue. This product washes away with soap and water but it does take some scrubbing, I prefer to use a gel makeup remover to take it all away. The Verdict: May repurchase, but curious to try the Lily Lolo Mascara next round. It was my second choice in researching and make smudge less at the end of the day. 2. 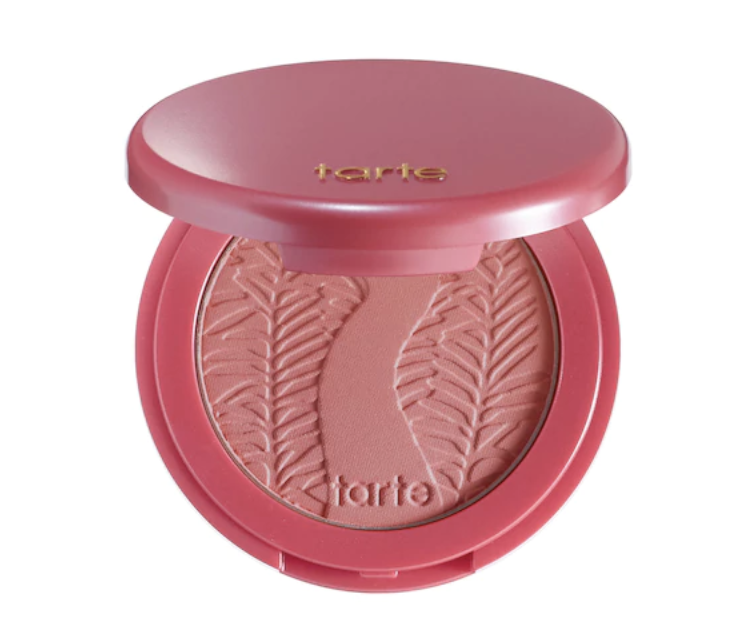 Tarte Amazonian Clay 12 hr Blush- I first started using Tarte products when working at Sephora headquarters. Branded as "high-performance naturals" they offer a full spectrum of beauty products, but my favorite are their eyeshadows and blushes. Pros: The color options are wonderful, very natural looking and easy to blend. There is a slight sparkle but the application is soft and easy to build on. Cons: Although this is called a 12hr blush I think 6-8hrs is more accurate. I often apply more in the morning or retouch midday so it lasts all day long. The Verdict: It's a keeper! I've used this blush in Blushing Bride for who years and love the natural rosy glow. 3. Mineral Fusion Pressed Powder Foundation- After switching to a new daily sunscreen I've noticed I need a little more foundation cover to avoid the over dewy look. Instead of going back to a translucent talc-based powder I decided to try this as a natural option. Pros: Reduced shine while adding a soft finish that wears well throughout the day. Cons: Easy to over apply and look ashy. Blending is key. The Verdict: I'll be trying something new next time. Mineral Fusion Pressed Powder $19. Posted on May 3, 2018 by Canvas Styling and filed under Beauty & Wellness and tagged RMS Juice Beauty organic skincare Vapour Makeup Tar Tarte Amazonian Skin Clay w3ll people mineral fusion.